Is Google an AI company rather than a Search company? Is Google an Artificial Intelligence company rather than a Search company? With Artificial Intelligence (AI) entering every field and most companies trying to use AI to better their technology, Google is no exception. Where Google stands different is with their vision of becoming an AI-centric company. The company, led by CEO Sundar Pichai, wants to be part of this technology transformation and uniquely position itself. Mr Sundar Pichai, CEO Google, is very well aware about what the world in future will need and he is gearing up Google for it by building up a strong base in the field of AI and Machine Leaning. There are many markets where Google is not the pioneer today but going forward, it wants to win these markets by developing knowledge base in arears of built-in search, artificial intelligence, machine learning and a knowledge graph to connect billions of entities. This is how google envisions itself. Mr. Pichai has been very clear with his vision that the future will be of AI. He expects that a time will come when devices will not exist, they will be redundant and what will exist will be Artificial Intelligence. And hence with that prediction, the company has been preparing today for the future AI driven world. Also in the company’s 10th annual I/O developer conference, the CEO and his team in their 2 hour key note emphasized about Google doubling down on AI and their belief that they can do it better than any of their competitors. In line with the company’s AI strategy, the company has created a new team dedicated to solving the machine-learning challenges. This new group, based in Europe, is called Google Research. The areas of focus of this new group will be machine intelligence, natural-language processing and understanding, and machine perception. To achieve success in these areas, the new team will carry out research on how to improve machine learning infrastructure. Modern mobile apps driven by AI have been the flavor of the season. There is cut-throat competition between Apple’s Siri, Google’s Google assistant, or Microsoft’s Cortana to name a few. But Google wants to differentiate itself and it wants to do this by making a strong AI team in-house which will allow them to continue their research and improve Google assistant by having it differentiate from the rest. The company has been focusing on research in areas of artificial intelligence and machine learning for over a decade now. But unlike Siri, Cortana, Google does not want to position Google assistant as a product but as a technology which will power many products, a technology that will extend across multiple devices and many contexts. For example, the company aims at achieving a scenario where Google assistant will let your Google Home gadget to turn on and off your lights or inform you about a delayed flight and even manage your dinner reservations i.e. change them as per the delay in your flight. And to achieve this, AI will be the driving force. As the AI will improve with time, the interaction between you and google assistant will also get better. Google Allo – how AI makes it unique. Google’s Allo is one great example of AI and how in-depth decade long research has resulted in something like this. Allo is a messaging app similar to Whatsapp. However, the uniqueness of Allo comes from its feature which blends smart reply with image recognition. Smart reply is a feature which makes suggestions of 3 different answers to a message received by you and just by one tap you can select one answer and send it. In Allo, the blend of smart reply and image recognition goes one step further as this app analyzes a photo message and there upon suggests answers to the user. For instance, if your friend sends you a pic of himself bungee jumping, then Allo’s smart reply will suggest you answers like “daring”, “awesome”, “chilling”. And with just one tap you can select a reply and send it to your friend. TenserFlow is a software developed by Google which is focused on deep learning. This software is developed in a way for it to reason and think like a human. This was done by feeding it with a huge amount of data and subsequently training it to recognize objects and draw patterns from the data. This is another step closer to its AI vision. All these technologies by Google are based on their AI capabilities and by strengthening their AI knowledge, the company aims to better the technology and enhance the user experience. 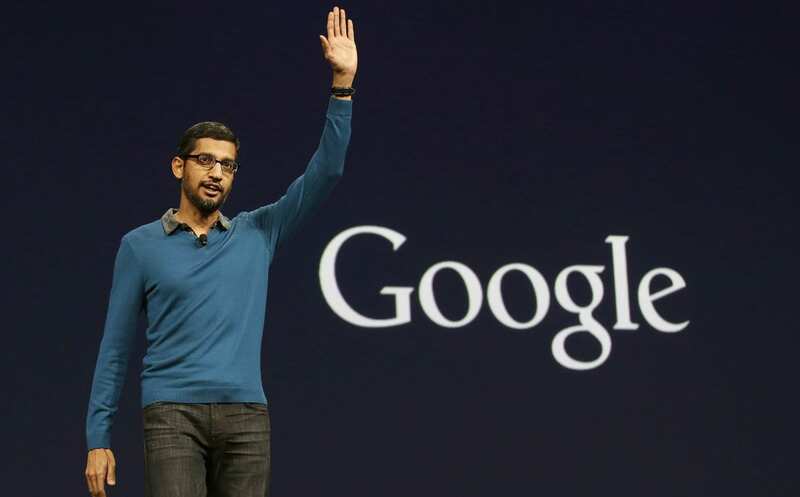 But will Google come out as a winner in all its endeavors still remains a question? Also how certain is it that Google’s bet on AI and machine learning will be a success? And the rivals, why won’t they travel on the same road and give Google a stiff competition? All these factors will play a critical role in the success of Google’s AI-centric vision. After Brexit stumbling predictions, do we need better big data driven forecasting?